S. J. McCray Life of Mary F. McCray: Born and Raised a Slave in the State of Kentucky. Life of Mary F. McCray: Born and Raised a Slave in the State of Kentucky. Lima , Ohio: [s.n. ], 1898. 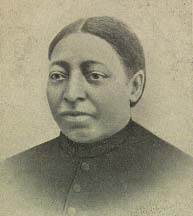 McCray, Mary F. (Mary Francis), 1838-1894.